This was sent to me by a colleague at work. 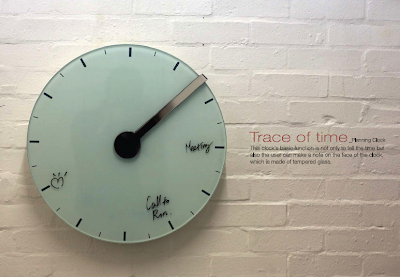 This clock not only tells time but you can actually make a note on the clock which is made of tempered glass. 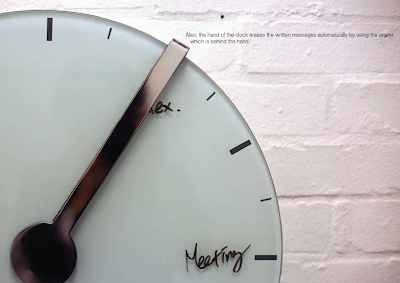 The cool part is that the hand of the clock is an eraser, so the written messages are automatically erased once the due time is passed!